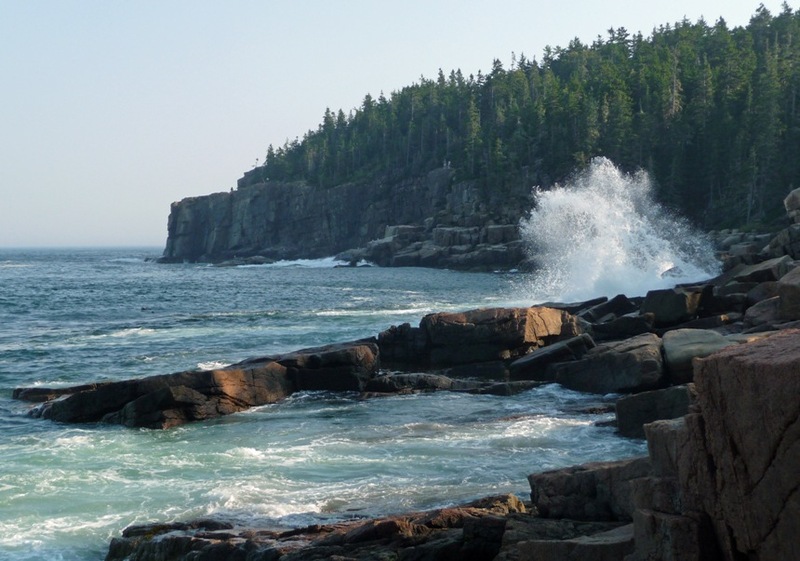 Once the holiday hordes left, we ventured out to the more popular areas of Acadia. 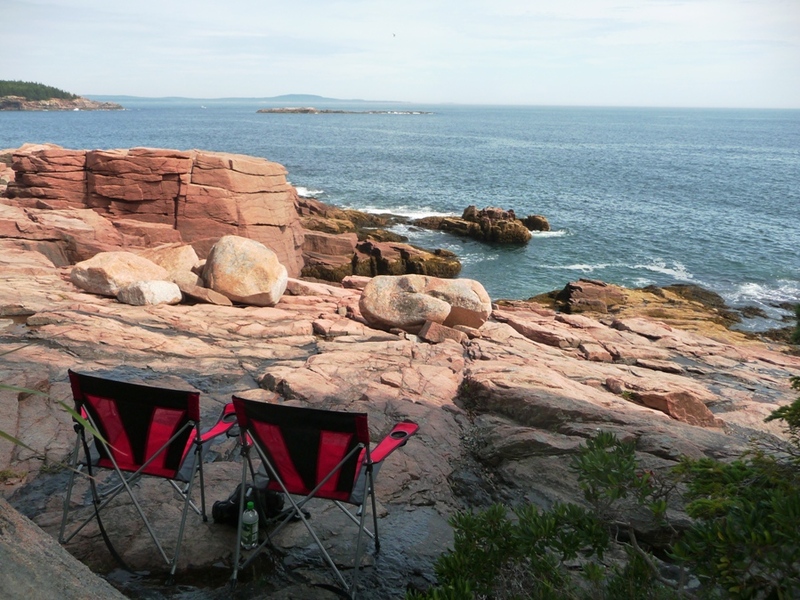 Here we set up chairs in the shade near “Thunder Hole,” which wasn’t all that thunderous at the time. It’s probably a good thing, though, because all of that racket would have distracted us from the books and snacks we brought. We ended up leaving this spot earlier than planned because we somehow got caught in a strange time warp where our cell phones ran an hour fast. Either Thunder Hole bends time, or we managed to get far enough East for Verizon’s satellites to have us in another time zone. I don’t know which, but I’m guessing the Thunder Hole thing.